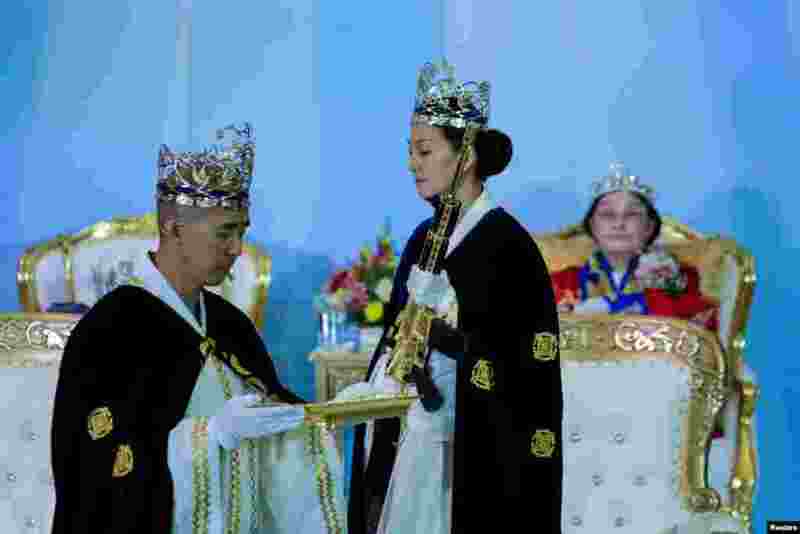 9 Reverend Hyung Jin Moon, the church's pastor and the son of the late Sun Myung Moon, attends a ceremony while people with their AR-15-style rifles in their cases watch the event at the Sanctuary Church in Newfoundland, Pennsylvania, Feb. 28, 2018. 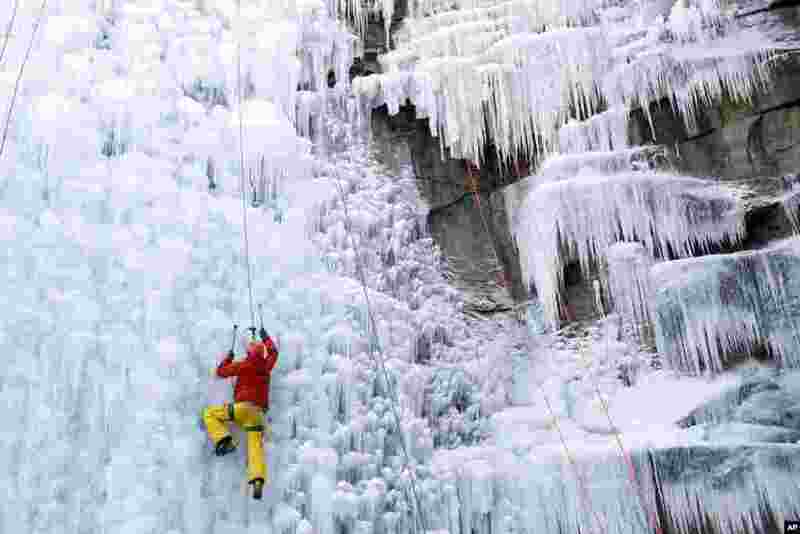 10 A man climbs up a fake ice wall in Liberec, Czech Republic. 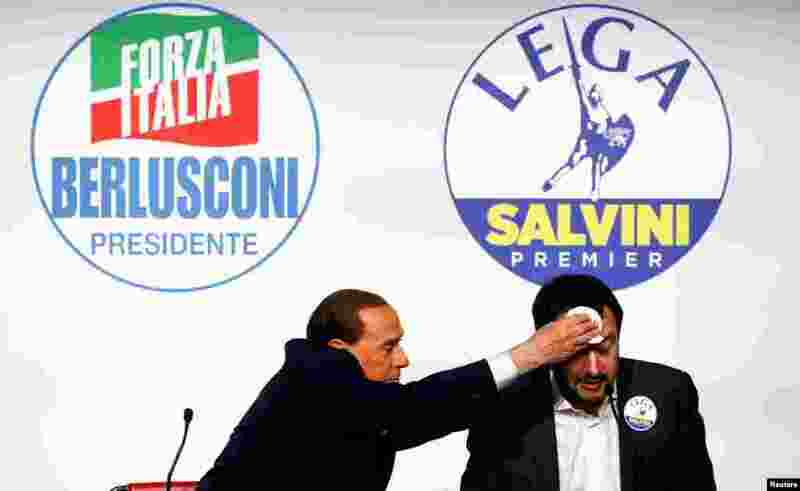 11 Forza Italia leader Silvio Berlusconi wipes the sweat off Northern League leader Matteo Salvini during a meeting in Rome, Italy.